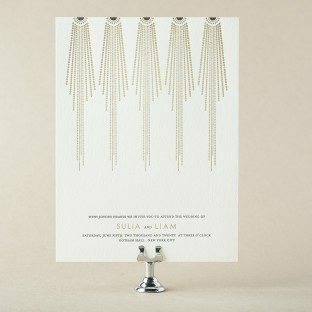 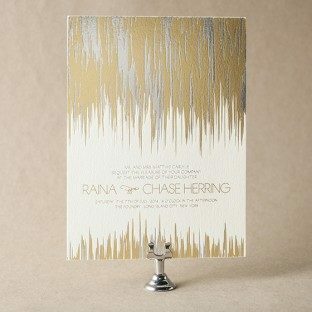 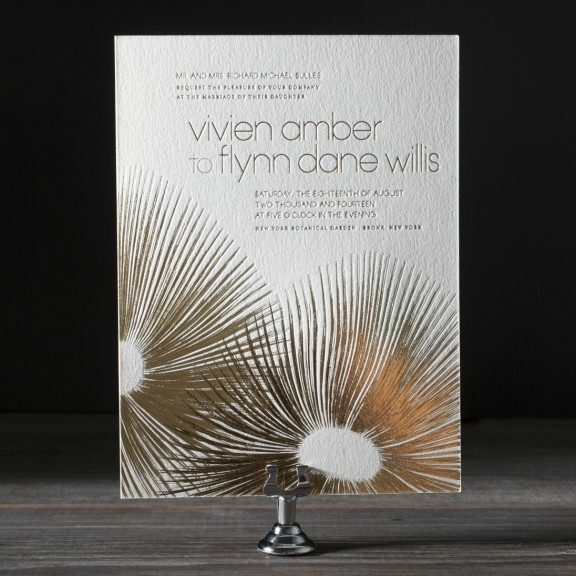 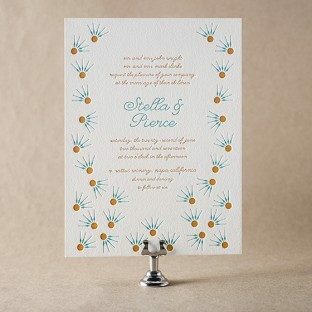 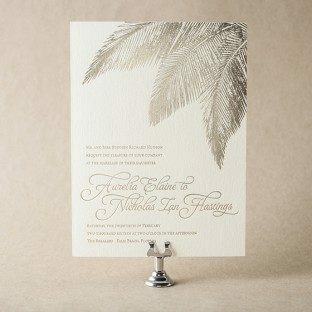 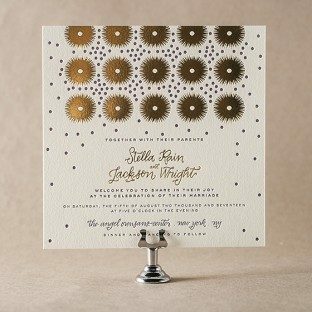 A rich display of botanical virility, Kamal’s Glamorous Blooms letterpress wedding invitations are a bold, organic salute to the artistry of nature. 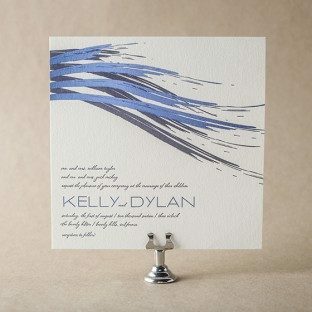 The vividly colored letterpress bursts are evocative of flowers, but at the same time bring to mind fireworks, feathers, and even sea urchins. 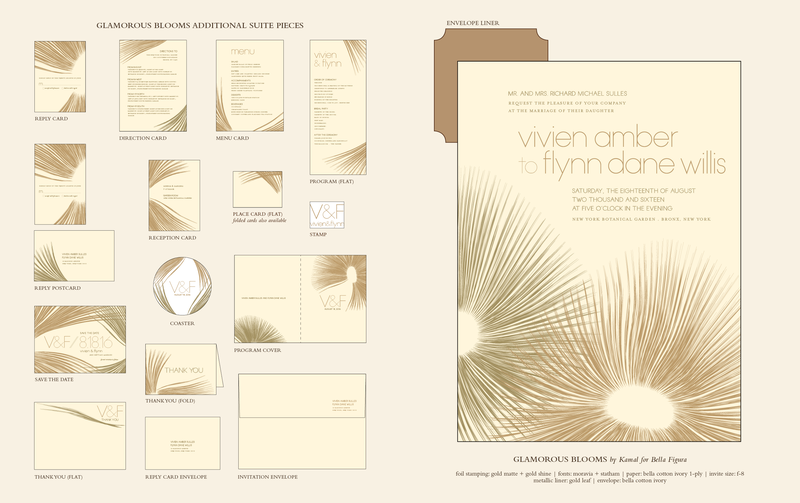 View additional pieces in the Glamorous Blooms sample suite. 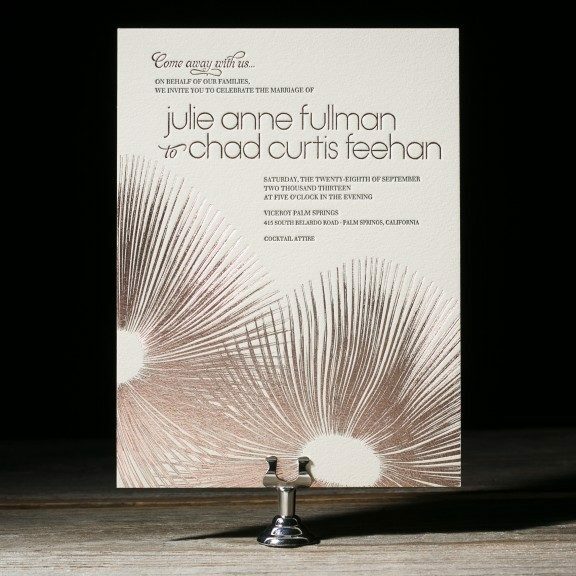 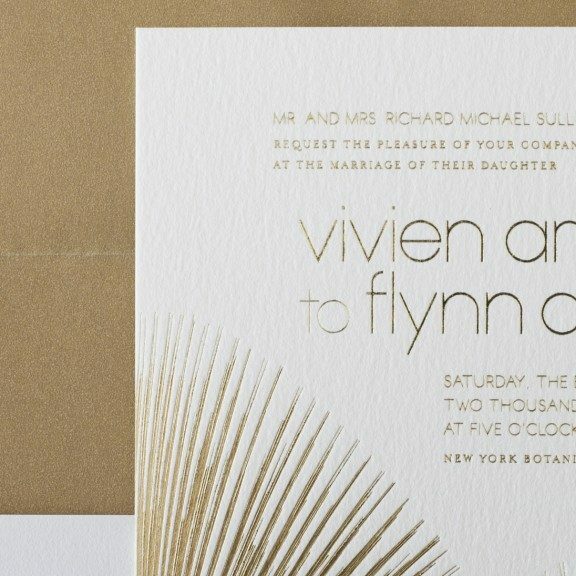 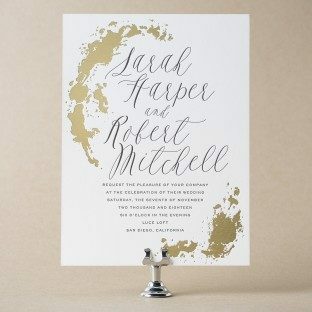 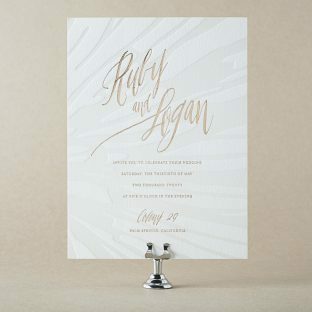 Printed on our thick, 2-ply ivory Bella Cotton paper, this version of Glamorous Blooms combines black ink with rose gold shine foil stamping to create a contemporary wedding invitation with a hint of romance. This playful take on our Glamorous Blooms invitation design pairs our vibrant, fuchsia shine foil with charcoal ink on our white, Bella Cotton paper.